The 2013-2015 HRS4R Action Plan highlighted gender equality as one of the main priorities to be addressed by the institute. The Gender Balance Committee was constituted for this purpose in 2013. 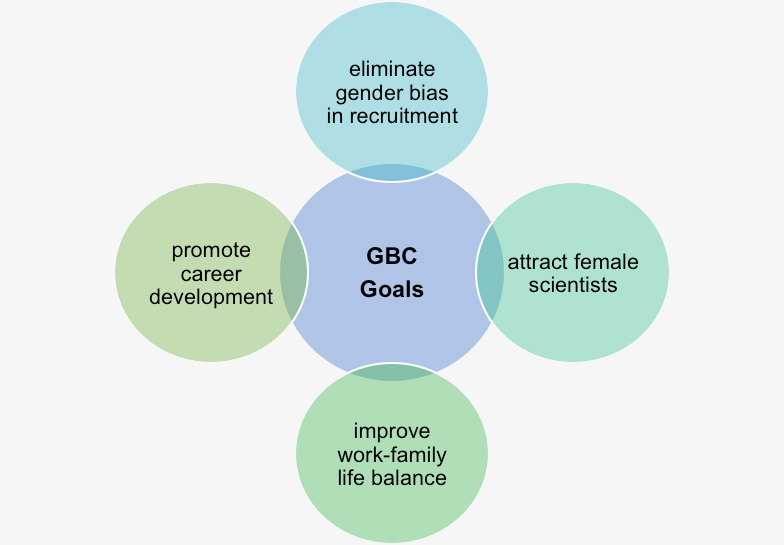 The Gender Balance Committee, chaired by Isabelle Vernos and made up of 11 members from all CRG categories, aims to eliminate gender bias in the recruitment process, attracting top level female scientists, improving work-life balance, promoting career development and establishing and disseminating gender-sensitive practices. The goal of this programme is to help young scientists in their career development by drawing on the expertise of senior scientists. 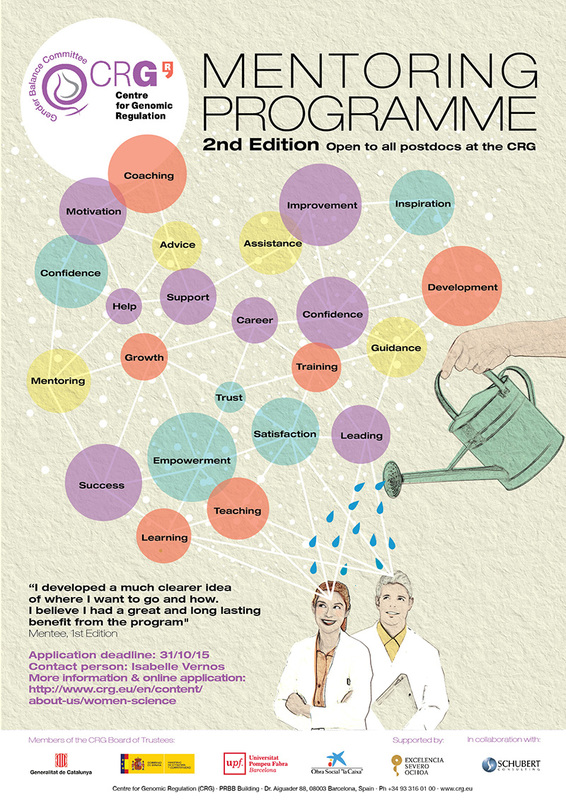 Preparatory and follow-up workshops are organised on a yearly basis to provide guidelines on mentoring methodologies and practices, for both mentors and mentees. 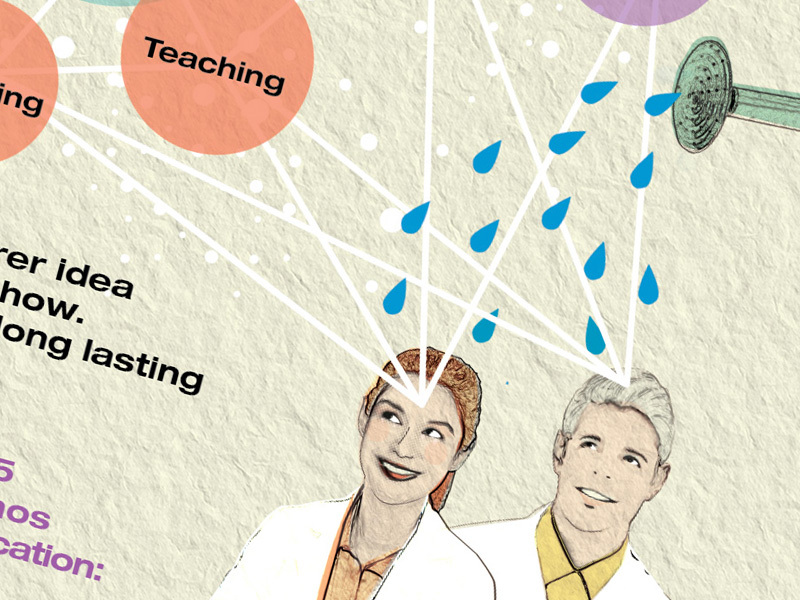 The first edition in 2014 was participated in by 14 postdoc fellows as mentees (70% female) and 10 principal investigators as mentors. A second edition was launched in 2015 and was participated in by 10 postdoc fellows as mentees (50% female). 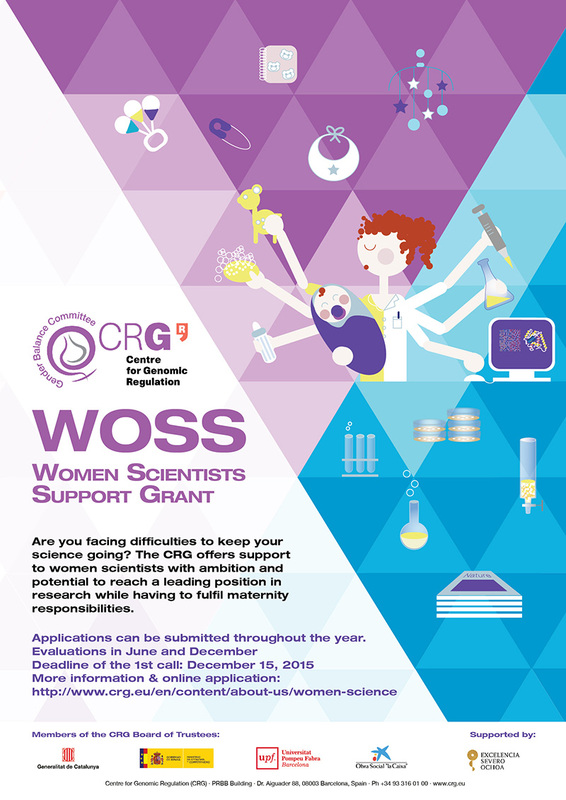 The mission of the Women Scientists Support Grant (WOSS) is to support female CRG PhD students or postdoctoral researchers who have the ambition and potential to reach leading positions in research and become mothers at the same time, providing them with extra financial support, which can be used for such outlays as extra day-care or babysitting hours. There are two annual calls with one grant being awarded in each call. Applications are evaluated by an external panel. 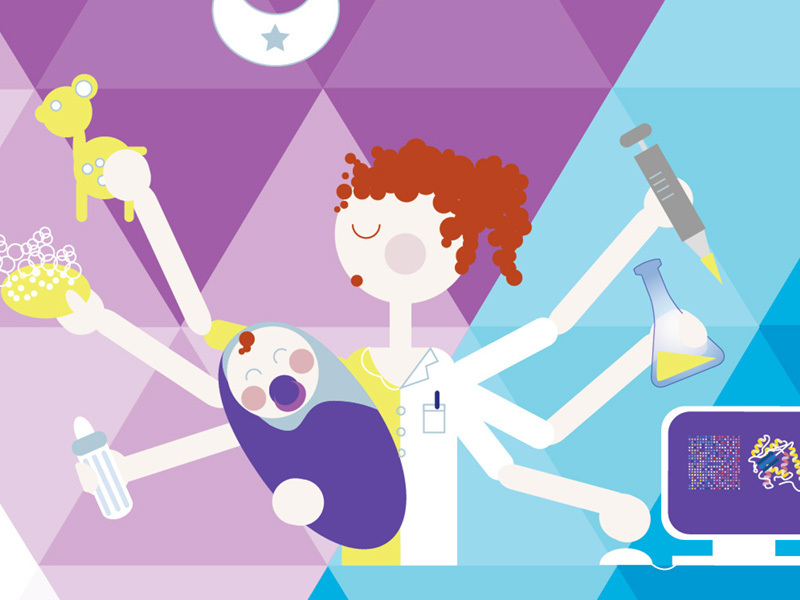 Libra: Unifying innovative efforts of European research centres to achieve gender equality in academia. 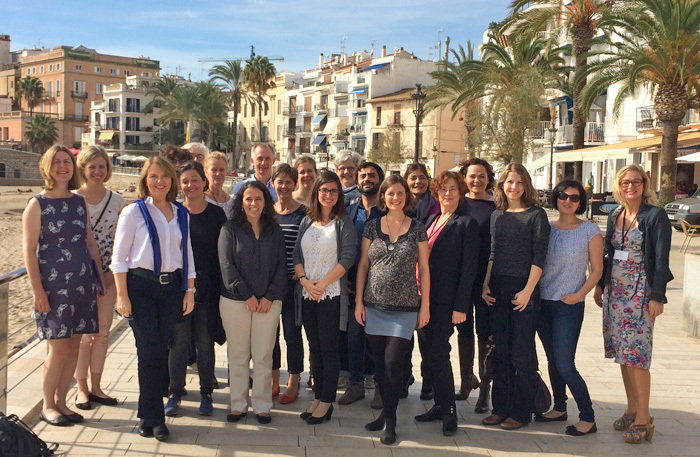 LIBRA is a 3-year, 2M€ project coordinated by the CRG (Isabelle Vernos, coordinator) participated in by all members of the EU-LIFE alliance. Its goal is to implement Gender Equality Plans in each partner institute.